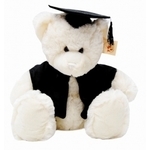 Graduation Cat | Graduation Bears and Gifts at discount prices! 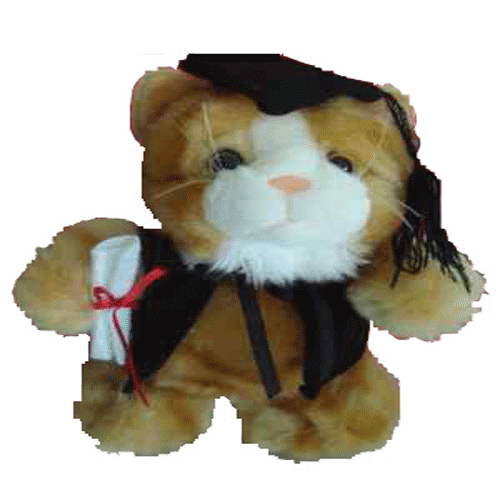 This cute graduation kitty is a lovely golden caramel colour and wears a black graduation cap and cape. A graduation certificate tied with a red ribbon is clasped proudly in her paw. Purchase singly or bulk discounts are available. Minimum purchase of 20 cats for bulk discount.